According to his obituary, Scott Marrs passed away late Friday night, October 26, 2018, after a brief illness. 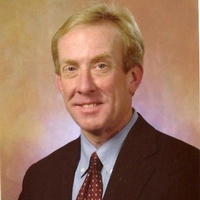 He was the principal lobbyist and representative in the state capitol for various organizations throughout southwest Missouri and the Ozarks, including the City of Springfield, Missouri State University, Boys and Girls Club, Mercy, Bass Pro, City of Branson, the Missouri Optometric Association and many others. His obituary says that he leaves behind his beloved family, his loving wife of 37 years, an educator, his daughter Katharine, a national political advisor, and his son William, a law school graduate of the university of Missouri and political consultant. His mother Barbara Bullington, his brother David Marrs, his sister Julie Hendrickson; all from Springfield. As well as Stan Bullington of Poplar Bluff, and Michelle Marrs Cannon of Springfield. His family writes that Scott was a hard worker and diligent citizen promoting causes related to the place and people he grew up with in the Ozarks. He was a graduate and true son of the University of Missouri: with a Master’s in Public Administration from the Truman School of Public Affairs, a political science graduate of Drury University, and an avid Mizzou Football fan. He was a friend to all, and loving father. Scott loved the outdoors, respected the natural beauty of the Missouri Ozarks, and taught his family to do the same. Scott was a believer in Christ and followed New Testament teachings, promoting kindness, grace, and service to others wherever he could. His quiet contributions to the city and region he loved made it a better place to live. Marrs, who was known as “Scotty” by his friends and he is going to be missed by so many of his friends in the MOA. Everyone who encountered Scotty had tremendous respect and admiration for him. He was a hardworking, loyal, man with a wonderful sense of humor. He will be remembered as a true friend to the members of the MOA.